Having difficulty coming up with creative ways to build your business’ brand? Get inspired by the reality web series Canada’s OSY Rentals and Rival Hydrovac have been producing. Cultivating a company image can be tricky and using unscripted, unfiltered video of workers on the job — colorful language included — is not typically part of the plan. But that’s exactly what OSY Rentals and Rival Hydrovac are doing with their online web series, which launched in spring 2017. The jointly owned oil field equipment rental company and startup hydrovac manufacturer based in western Canada loosely based the behind-the-scenes miniseries on a reality TV show format. While they present certain aspects of company operations, and obviously promote brand recognition, the five- to 10-minute episodes aren’t strictly about anything. They aren’t explicitly promoting a new product or service. They’re not an advertisement — they’re just fun. “It’s brand building, and I think that when people see you on there, your everyday stuff, and they see a little bit of your family, and they see a little bit of your workers, how everybody interacts, they start to get to know you and trust you,” says OSY Rentals general manager Dallas Cairns. The two companies and their services are highlighted to an extent, but it’s all secondary to employee personalities and shenanigans. The web series may not be a TV show in the most literal sense, but the idea for it actually did come out of the television industry. Friend and former OSY Rentals employee Adrian Halter, who now runs his own production company, HalterMedia, was working on a pilot episode for a reality TV series about oil workers in Canada and enlisted Cairns’ help. Though the project ultimately fell through, Cairns liked the idea of a show about the oil and gas industry and hung onto it even after Halter moved on to different work. Eventually, it led to the creation of a smaller-scale web series about OSY Rentals and Rival Hydrovac. Their clients and industry partners ate it up. Before they knew it, the gimmick had become a regular topic of conversation. “We didn’t have much of a plan,” Halter says. “But we filmed a bunch of stuff, and luckily all those guys are pretty funny on their own without trying to be funny. For example, one Season 2 episode features the OSY Rentals crew participating in events like the egg toss and tug-of-war at the annual Redneck Games in Major, Saskatchewan. In a Season 2 episode, the OSY Rentals crew competes in the Redneck Games. Traditionally, marketing wisdom dictates a focused approach — directing ad dollars toward a concentrated target. But today’s media landscape allows for many varied marketing opportunities. Within all that, the value of pure entertainment is often overlooked. OSY Rentals and Rival Hydrovac’s reality web series is a prime example of how simple entertainment can be beneficial from a marketing standpoint. It distinguishes the company because it is very obviously not a sales pitch. Tim Dell and Dallas Cairns in a Season 1 episode of the show. The web series isn’t the two companies’ only quirky outreach effort: They also hold an annual hockey pool that customers and partners are encouraged to participate in, complete with prizes, and have a series of spices and dips that play off their brand. “As with most marketing efforts, it is tough to put an exact number to results, but we just keep doing it and keep our name out there. Provided we stay busy, we keep going without questioning it,” Dell says. As far as what it takes to make a web series, Cairns and Dell say it’s not as time-consuming as you’d think. On average there are two days of shooting per episode, but since the show isn’t scripted or staged, most of the filming happens while the crews are going about their normal work. 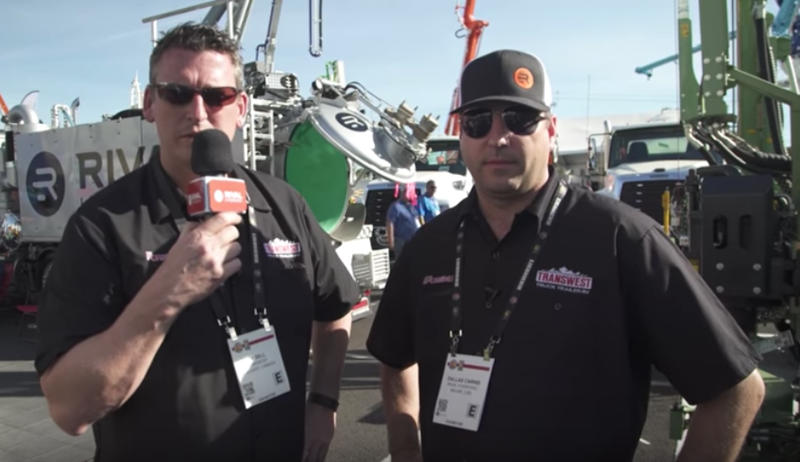 It’s not the only multimedia marketing the company does either: A pair of promotional videos on the Rival Hydrovac website are more traditional video advertisements for that particular product. Right below that are recent photos showing new trucks that have gone out to customers, in addition to photos of employees. Season 3 of the show just finished in the spring, and the OSY Rentals and Rival Hydrovac employees are already looking toward doing a fourth season in the fall. You can check out the first three seasons of the web series at OSY Rentals’ website.